Glass isn’t great and doesn’t exactly live up to the potential set forth by the twist ending of Split. That being said, there is some entertainment value and all in all was at the very least a satisfying film featuring a couple good performances, particularly McAvoy and Jackson. 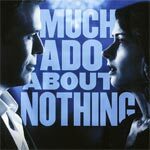 Much Ado About Nothing shows the multiple sides to Joss Whedon able to tell a good story no matter what the budgets or genres are. The merging of Shakespeare and modern film is nearly seamless and the cast is superb. The Blu-ray released by Lionsgate has a fair amount of features while the video/audio transfers are good enough. The Last Exorcism Part II is the epitome of the unnecessary sequel. The story is slow to develop, the scares are scarce and the screenplay itself is half-baked. However, for all that’s wrong with it, there are some truly incredibly awful scenes that approach awesomeness that it would make for perfect “MST3K” material.